Jodi and Audrine’s only request was to keep their existing color scheme. Gladly taking the design freedom and the color preference, I approached their branding in the literal sense. You know glitter and barns and all that jazz. I feel it’s the perfect mix of barn elements without bringing it to the farm animal level. It’s also not too girly by bringing in the pops of green and just the right amount of glitter. Of course that’s just a photo, you’ll have to stop over to her site to check out the ‘hover’ feature- - for beginner coders like myself! Again you’ll have to stop over there to play with the functionality. While you’re over there, go ahead and like her socially too (or conveniently here for you: Pinterest, Facebook, Instagram, Twitter, Bloglovin, Google +, or check out her ETSY shop), because she’s going to rock your world this year! While you’re in the liking mood, feel free to follow me socially (in the signature below or in the tabs on the right hand side). In the next couple day’s we’ll be rolling out the rest of her branding across her social sites. I’m also creating some special branded price tags for her furniture booths, so keep an eye out!! So what do you think of the design + branding? 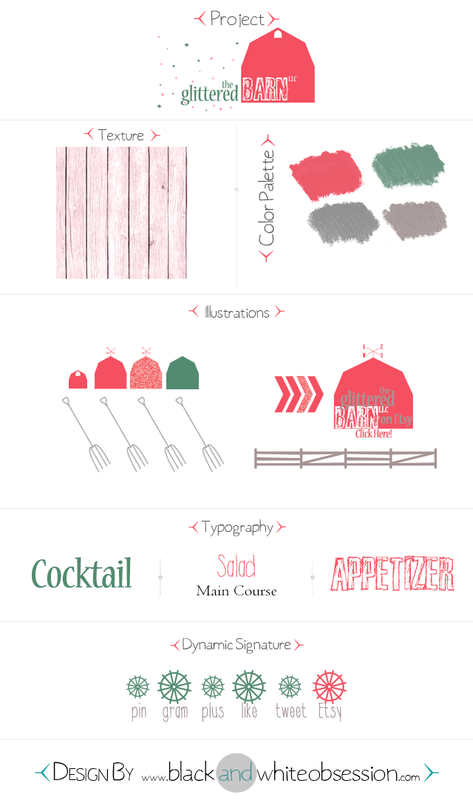 Interested in your own ala carte blog design? I’m in the early stages of providing blog designing services. Email me for special pricing with ala cart items such as social media icons, sidebar titles, *installation assistance, etc. 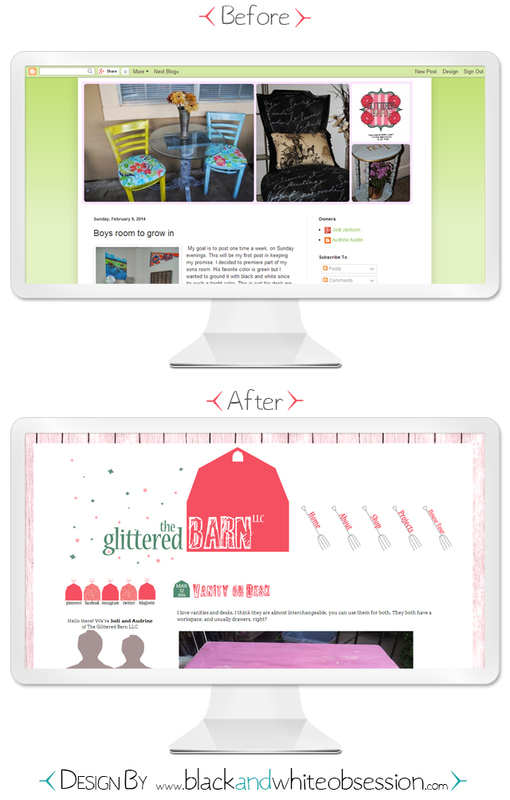 If you’re ready for a full or even mini blog makeover, let’s talk! Take advantage of portfolio building prices!! Check out other designs here. *Installation assistance on blogger only. Well I for one love it!! Love it Trisha. Well done!! Lovely, I have a real weakness for barns! Amazing job, I prefer the new colours in the template. You go girl! That design is amazing - you totally deserve to call yourself a web designer! !